We started out making everything out of cedar (that's the reason for CM CedarWorks) then we found other locally available materials sometimes easier to procure. Now we use only Cypress, which is a species are noted for its outside durability, weather and rot resistance. We assemble with zinc plated bolts and exterior grade deck screws to ensure you have many years of enjoyment. As tastes change, so do the colors of our furnishings. Although we have found the colors displayed to be quite popular, we realize that your color palette may require something different. We will be happy to paint your furniture any color that you want. 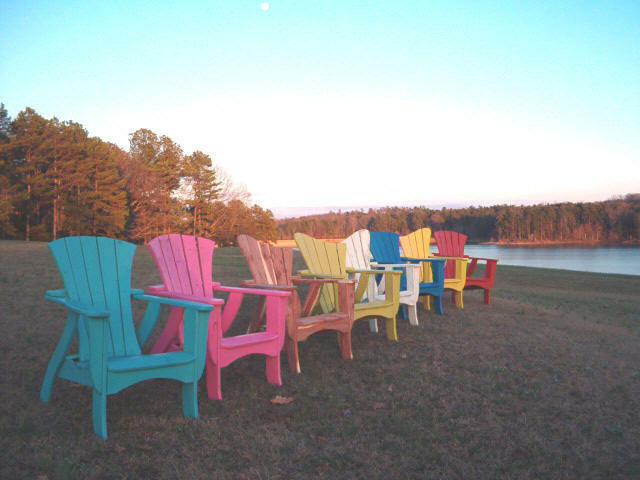 Just send us a paint chip or major brand formula, and we'll custom finish your outdoor furniture investment. We work hard to make sure that every piece will bring you 100% satisfaction. If you are not happy for any reason, please let us know and we'll do everything we can to make it right.